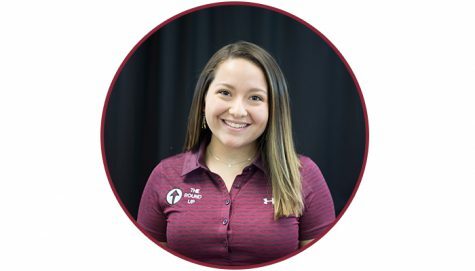 Ariana Parra is an incoming freshman at NMSU and a first year staff writer for The Round Up. Ariana was born and raised in Las Cruces, NM and recently graduated from Oñate High School in May. At Oñate, she was the Student Body President and discovered journalism through the mass media program in which she was the anchor. Parra also was a setter for the volleyball team and threw the javelin for the track and field team at Oñate. She participated in many other clubs at Oñate such as, HOSA, Key Club, and National Honors Society. Although Parra is not a journalism major, she has always had a love for writing and cannot wait to see what The Round Up has in store for her.